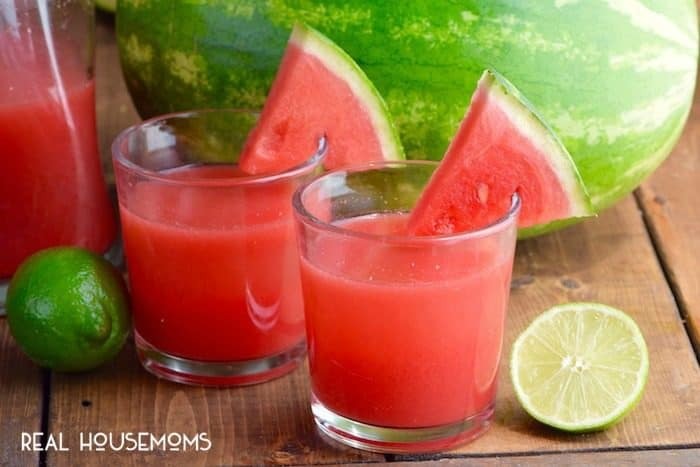 This WATERMELON LIMEADE is a super refreshing and delicious kid-friendly drink! 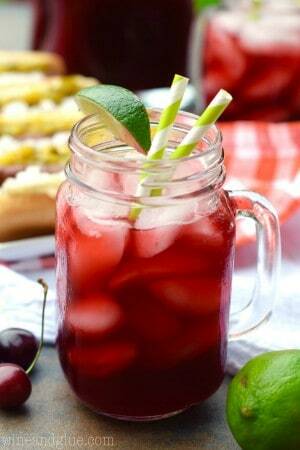 This Watermelon Limeade is totally perfect for summer! My kids are super addicted to watermelon, they can easily plow through a watermelon in one afternoon. Which seems totally crazy to me because they are three tiny little people. And yet, it happens ever single time. One minute I have a whole watermelon and then next minute I turn around and there are rinds and small children covered in pink. 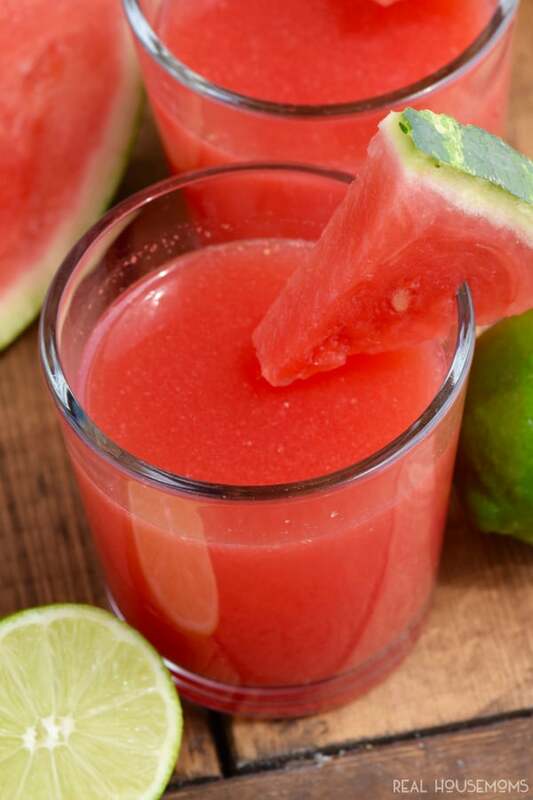 So those three little watermelon destroying monsters were totally into this Watermelon Limeade. 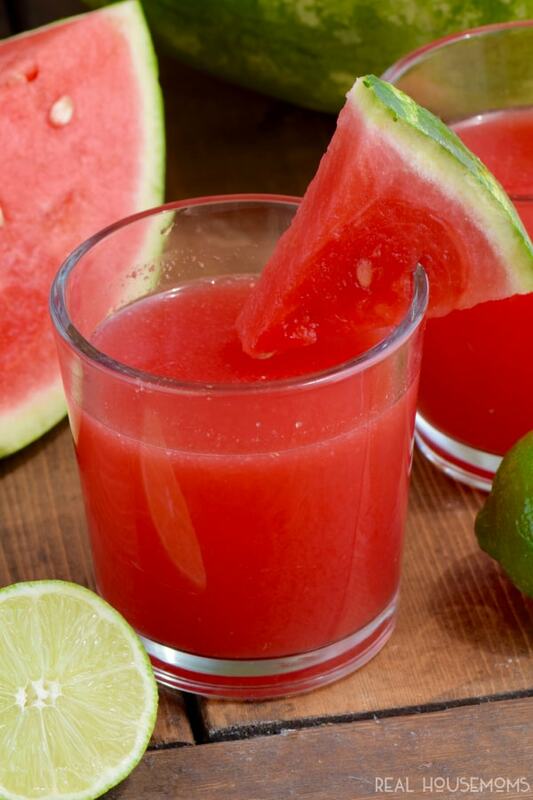 It’s like lemonade, but way better because . . . . Watermelon. 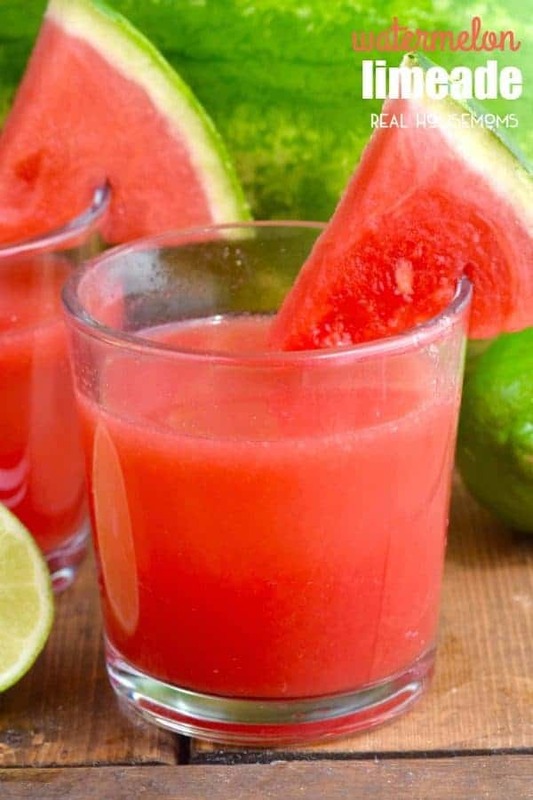 I think that watermelon and lime totally go together perfectly, but if lime isn’t your thing you could replace it with lemon and it will still work beautifully. I also think that next time I make this I’m going to have them help, because it’s easy, and totally a kid-friendly recipe for throwing together. To make simple syrup, combine water and sugar in a medium saucepan and heat over medium to low heat until fully combined stirring regularly. Let cool completely before using in <g class="gr_ gr_138 gr-alert gr_gramm gr_run_anim Grammar only-ins doubleReplace replaceWithoutSep" id="138" data-gr-id="138">recipe</g>. 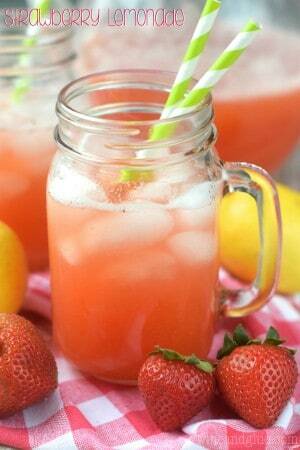 To make Watermelon Limeade, combine all ingredients and serve. Store in the refrigerator for up to three days, stirring again before reserving.